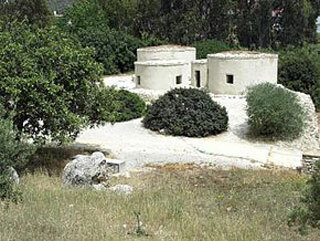 The Neolithic settlement of Choirokoitia, occupied from the 7th to the 4th millennium B.C., is one of the most important prehistoric sites in the eastern Mediterranean. Its remains and the finds from the excavations there have thrown much light on the evolution of human society in this key region. Since only part of the site has been excavated, it forms an exceptional archaeological reserve for future study. This article uses material from UNESCO World Heritage List article "Choirokoitia", which is released under the Creative Commons Attribution-Share-Alike 3.0 IGO License.